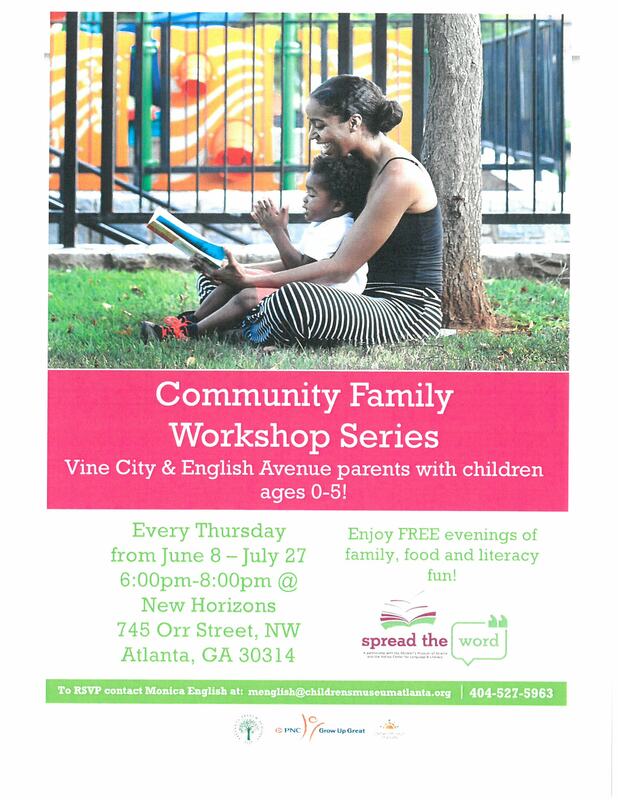 Spread the Word is gearing up for our Summer Family Workshop Series. We would love to see our English Avenue & Vine City families come out and join us!! Send me an email or give me a call to RSVP @ menglish@childrensmuseumatlanta.org or 404-527-5963. Prev Post: Spread the Word Kick Off!!! Next Post: Summer Workshops are Wrapping Up! !